So, here’s the thing. I love social media, because it’s given me a chance to meet wonderful people (like you, probably!) but we have to admit it, there’s a flaw in its design. All of those short sentences and catchy captions don’t give us nearly enough time to really get to know each other! For that, I think it’s time to get back to blogs. Make a cup of tea, set aside some time to read, and enjoy some stories from people we’d like to get to know better–I think we could all use that once in a while! So without further ado, let’s start with Five Questions for author L.R. Trovillion. 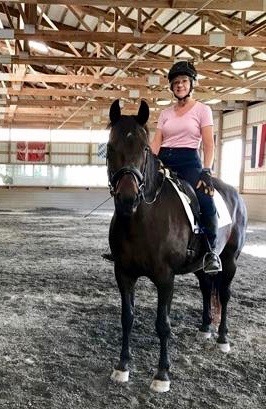 Trovillion is the author of the new Young Adult – Equestrian Fiction novel Horse Gods, and previously released False Gods, both set in Maryland’s equestrian community. 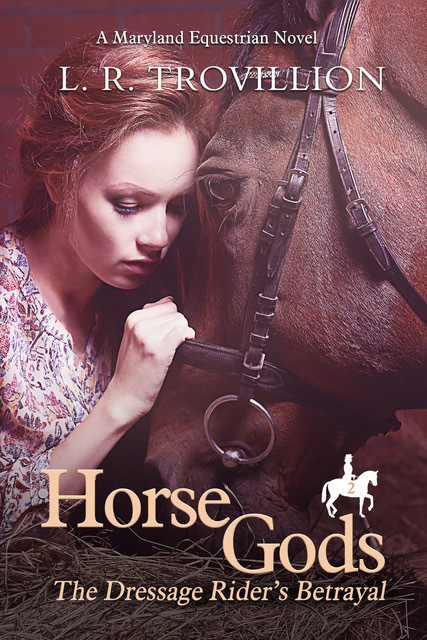 Her books get great reviews with readers, who love her fast-paced, tightly-woven plots about teenage girls who find purpose and courage through equestrian life. If you love coming-of-age stories (and who doesn’t, really) and a well-written story with plenty of horses in it, these books belong on your list. I asked L.R. 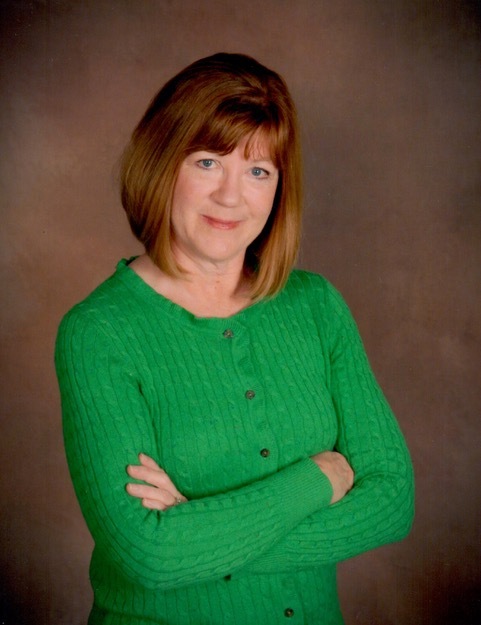 Trovillion five questions about her latest novel, her writing life, and her craft. Let’s go! Hello! Thank you for being my debut subject for Five Questions! First of all, thank you, Natalie, for giving me this opportunity to speak with you and for hosting me on your blog. You have a new book! Tell us a little about Horse Gods and your inspiration for this story. The sequel, Horse Gods, picks up the story of a new main character, Regina Hamilton. Her abusive mother, who we met in the first book, False Gods, is getting out of prison and Regina has only a few months to figure out how she can avoid having to live with her. As a minor, she doesn’t have too many options. She falls into an opportunity at an elite dressage barn (even though she’s a jumper rider!) to work as a resident working student, if she can prove herself. But things at this barn are not what they seem, and before long Regina finds herself in a dangerous situation. (No spoilers). What made you decide to begin writing equestrian fiction? Horses are the inspiration. I only started riding as an adult when I had a job that would support boarding and lessons, but I never looked back! To help defray some costs, I worked as a groom for a hunter/jumper rider, which gave me a unique view into the world of big-time horse shows. Later, my interests gravitated to dressage. I believe there is a certain magic in the horse-human connection and I hope to capture a little bit of it in my stories. Horse Gods blends a lot of topics – you’ve got hawking, dressage, Irish mythology, and parents in prison, among other things. Was it hard to keep your plot in order and not lose any threads? Ha, ha! I’ll have to let my readers answer that question, but I certainly hope I didn’t lose any threads! Yes, there’s a lot going on, but the various topics are all held together by one central theme—trust. 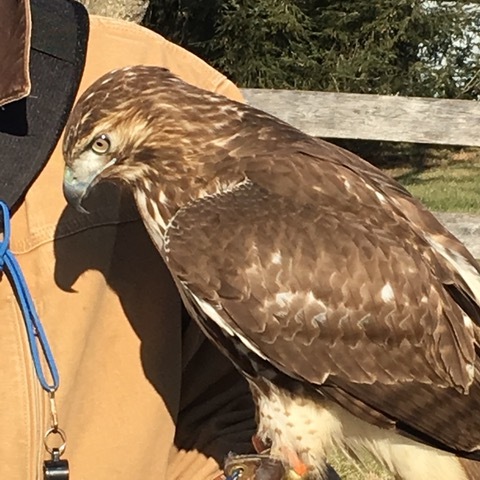 The hawk, the wild mare, the Irish myths that surround Regina all symbolize various needs for and levels of trust. You see, Regina has no one to lean on, no one to help her (she thinks), and so has always just relied on herself. As she grapples with one problem after another, she slowly discovers how to trust in others as well. But that trust in people is severely tested in the end. Can you tell us a little about your writing craft – how you schedule your time, how you plan your stories, that sort of thing? When I do knuckle down to write, at the beginning of a novel, I get a germ of a story idea and start building the characters around it. I like to take a main character, give her a big problem, strip her of all outside support from family or conventional means, and set her loose to make bad decisions and see what happens. Secondary characters sort of turn up on the pages and some of them become quite interesting and get to be the main character in the next book. (Spoiler: Main character in book 3 is Willow). Sounds quite haphazard, doesn’t it? I do usually have the beginning and the end destination planned, but that whole messy middle part is sometimes surprising even to me. What’s on your 2019 reading list? Have you read anything amazing this year? I am fortunate to belong to a book club, which has been together for about 23 years. In that time, I have been introduced to so many amazing books, often ones I would not have picked out for myself. Recently, one of my favorites was A Gentleman in Moscow by Amor Towles. I was a Russian language and literature major in college and this book captured so beautifully the culture, history, and mood of that time in Russia. Plus, I absolutely fell in love with the main character, Count Rostov! As for horse fiction, I’d have to say an all time favorite is Horse Heaven by the master storyteller, Jane Smiley. I also love to read a lot of Young Adult. I really enjoyed The Sun is Also a Star by Nicola Yoon for her brilliant and edgy characters and Six of Crows by Leigh Bardugo for amazing world building. On my list: The Hate U Give by Angie Thomas and Girl in Pieces by Kathleen Glasgow. But I’m open to other suggestions! Really solid choices. I love Amor Towles’ first book Rules of Civility, and A Gentleman in Moscow has been on my list for ages. And of course, Horse Heaven, I’ve been very open about how much I love that one! Thanks to L.R. Trovillion for that excellent look inside her books and writing process. I especially love the idea of taking a character, stripping her of help, and seeing what she’ll do next. My process is generally to take a character, give her an opportunity, then think about all the awful consequences. Either way, you can’t have a story without being well-versed in a certain kind of worst-case scenario thought process! Have you read L.R. Trovillion’s work? Do you have a question for her, or a recommendation? Be sure to comment below!